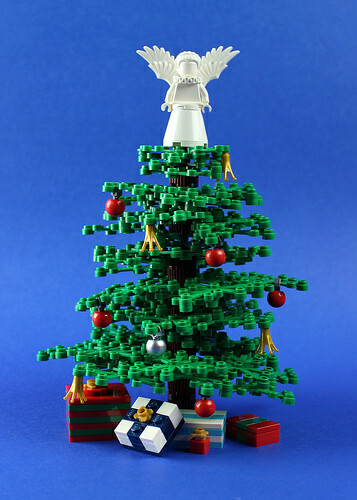 With it’s pile of beautifully-wrapped presents, and its gleaming white angel, Andrew JN‘s LEGO Christmas tree is sure to get those festive feelings flowing. Those tree branch pieces are sometimes not the easiest LEGO parts to work with, and ironically don’t always make for great tree designs. However, Andrew has used them to good effect here, and the smattering of Technic balls as baubles, coupled with the golden crowns creates a sweet seasonal scene.